I'm still hand stitching the binding on my king sized beast. It's been too hot to sit under a heavy quilt mot evenings, so the work is going slowly. That did not stop me from playing just a little bit. Some mindless play. All caught up in these ridiculously feminine fabrics and the feel of silk in my hands as I sew. Just random patchwork coming together now that I've finally finished cutting nearly 400 voile triangles. In my defense, this isn't a new project. I had this one on my initial and updated WIP list. That means I'm making progress on something instead of starting something new. 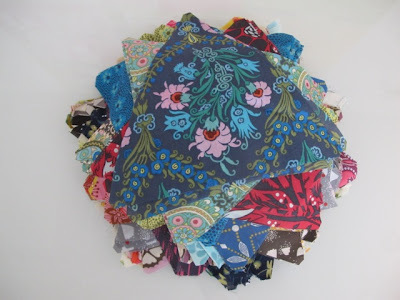 I think there are samples from nearly every voile line that's come out in the past few years. I started collecting, just because. 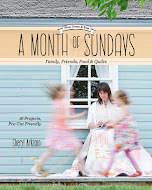 There is a bit of Anna Maria Horner, Denyse Schmidt, Tula Pink, Valorie Wells, Amy Butler, and Joel Dewberry in here. I do wish there were more geometrics among all the florals, but the texture of the fabric is so ridiculously feminine, so I understand why. lol! 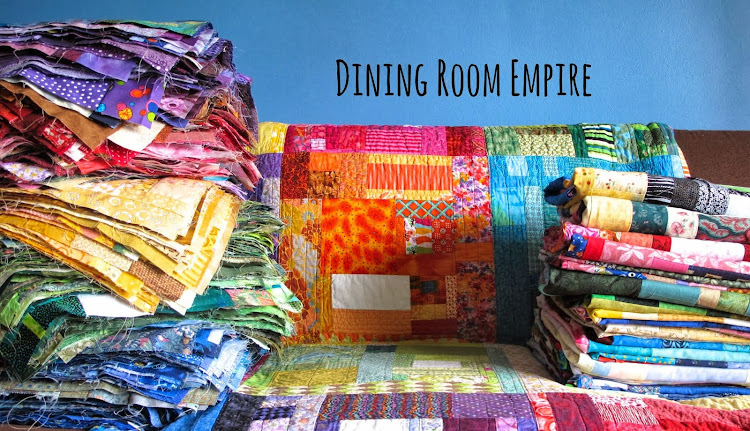 There's a place in heaven for the husbands of quilters. My husband is currently sleeping under a red, turquoise and pink quilt. A supportive and patient man to be sure! Love your pretty voile fabrics! 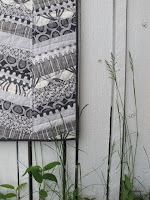 I've not yet braved working with voile- is it terribly different to stitch with? 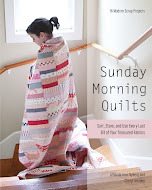 Thank-You for the 'Sunday Morning Quilts' book!! I was shocked it got here so fast, I was not expecting it to arrive yet and I sat down this afternoon and read it from cover to cover!! I am not kidding - I did! And I love this book!!!!! I will be telling everyone I know about it, I will be showing them and telling them why they need to get it - yes, I AM excited! :-) The trianles quilt, the one near the back, baby size, well, I am thinking this will be the first one I start collecting pieces for!! And while I am working on the collection, I am going to be making a few slabs and uh, yeah, a box to collect my scraps in!! :-) I LOVE THIS BOOK!!! Thank you Cheryl!! And could you thank Amanda for me too - though I will go and let her know how much I like this book - you both have done such a good job on this - Thank-you for this eye candy, this inspiration and the joy I have had just reading, dreaming and planning today and tonight, since I have come in from the afternoon of reading in the sunshine!! Now, to go save my trinagles from the scrap bin! They have a new purpose - and it's going to be fun!! !